We offer complete holiday décor pagcages, we know that the Christmas season can be a busy one, so why not let us take some of the tress out of the holiday season for you with our Tulsa Holiday Lighting Installation services. We have a trained team that will treat your home with respect. Our services are designed to be as simple as possible, once we have a design plan in place for your property all you do is tell us when you would like it setup and write the check, it is that easy! We install, maintain, store and take down the Tulsa Holiday Lights. We are willing to work with any budget, if budget is not an issue we can propose different designs and let you choose which best fits your holiday liking. We encourage you to call us today at 918-640-6405. There’s still time to get us on your team for the holidays. Check us out online for more information about our company in the different services we offer by visiting www.greenleafweedcontrol.com today. Our Tulsa Holiday Lights experts can provide beautiful holiday lighting and greenery décor for both residential and commercial customers. Green Leaf Lawn and all of our professionals uses lighting techniques that enhance the beauty of the outdoors at night and can expertly incorporate holiday lighting into the design. Green Leaf Lawn designs have an elegance and eye-appeal that truly beautify the outdoors at night. Green Leaf Lawn knows how to present that beauty using professionals that are trained and understand the installation of outdoor lighting. We already do creative designs and installations of landscape lighting and with Tulsa Holiday Lights, we can take that to another level. The colorful displays, which turn an ordinary home into a winter wonderland, are the result of a lot of creativity and experience. During holidays, nothing draws people more to your home or business than beautiful Tulsa holiday lights. Lighting street trees or stringing lights along buildings is one way for business districts to market their area to holiday shoppers. If you plan to brighten your business or home with festive holiday lights, let Green Leaf Lawn take care of it for you. We take care of the headaches involved with installation and homeowners get the pleasure of having lights up throughout the holidays. We have the ability to deal with all of the mess and maintenance associated with putting up holiday lighting from calculating the amount of electricity required and hiding electrical cords to doing weekly maintenance checks and storing the lights after the holidays. 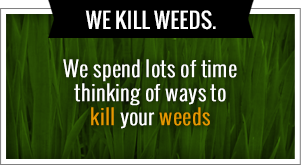 So feel free to check us out today by visiting our website at www.greenleafweedcontrol.com. Is chock-full of all the information you need to fill confident about selecting Green Leaf Lawn as you are professional holiday lights experts of choice. The holiday season is just around the corner and it’s time to give us a call for all of your home beautification purpose needs. We take the hassle out of your holiday recreating the display, installing and maintaining your lights, taking down decorations, and storing them in our secure facility ready for next year. What does this mean for you? You get to enjoy a grand or modest Christmas display without having to lift a finger. You don’t even have to turn the lights on or off, we have automated timers they can take care of that for you. There’s no limit your Christmas light display. We can do something as simple as that great your porch with lit garlands or hang a wreath above your garage. We can also deck your house out with amazing Christmas lights from roof side to side. Green Leaf our professionals when it comes to Tulsa Holiday Lights and so much more for all of your Tulsa lawncare. Our services include sales, design, installation, maintenance, takedown, and storage of all your Tulsa Holiday Lights needs. We been servicing this area for a number of years and we offer a wide variety of holiday lighting options to choose from. Us for your holiday lighting in the Tulsa area. We’ve been decorating homes in the Tulsa area when it comes to Christmas needs for a number of years and our customers are always loyal and satisfied to stay with us. If you’re looking for a company that will provide superior service then it’s time to make us your first choice. Our numbers 918-640-6405 and you can reach us online anytime at www.greenleafweedcontrol.com. Green Leaf Lawn also specializes in weekly lawn mowing. Whether it’s residential lawns or commercial properties we make sure every customer satisfied. We will not leave the property unless it looks absolutely great. We are not the lowest or the highest priced servers out there, we are just simply the best in the Tulsa area. If you’re looking for consistent lawn service, Green Leaf is your company. You’re looking for professional results on a consistent basis and we trust ourselves in being your best option. We have many satisfied and loyal customers that use our services year in year out because we provide amazing expertise every time we handle their lawn or decorating their home. Weekly visits include mowing, trimming around the obstacles, edging landscape orders when applicable, edging blocks, and clearing hard surfaces of grass clippings. We do not cut any corners on lawn maintenance. Our lawn maintenance specialists have been trained to be thorough on each and every visit. If there’s not enough time to complete a task properly it will not be on schedule. 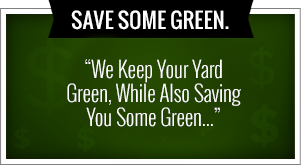 You’re going to get exactly what you pay for whenever you choose the experts at Green Leaf Lawn. Our company specializes in taking care of our customers on a daily basis. Give us a call today and speak with us about how we can change your lawn for the better.